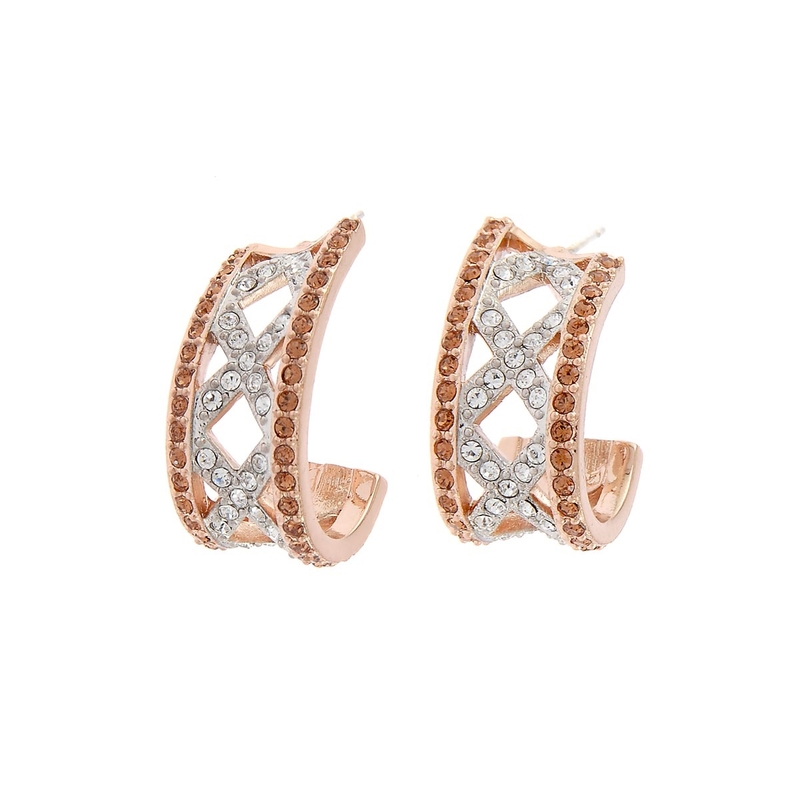 Beautifully intricate, our rose gold finished "True Glamour" earrings flaunt a sensational criss-cross pattern finished with a dazzling Swarovski crystal design. Sterling silver posts. Nickel and lead free jewellery. 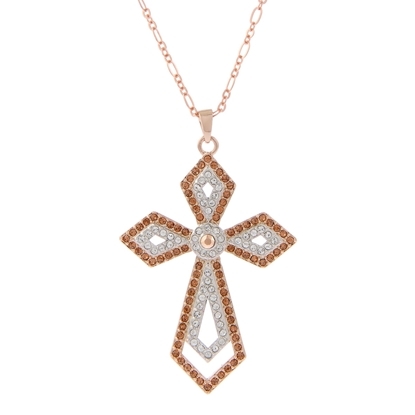 Beautifully intricate, our rose gold finished "True Glamour" neckpiece flaunts a sensational cross pendant finished with a dazzling Swarovski crystal design. 28" plus 2" extension. Nickel and lead free jewellery.